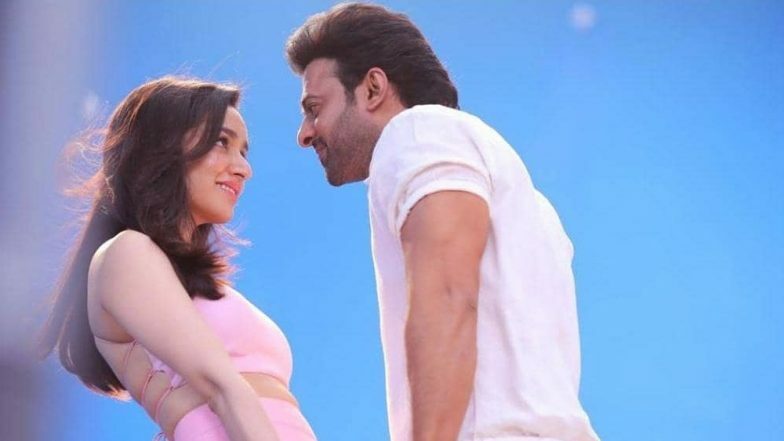 Prabhas-Shraddha Kapoor’s Leaked Pic From Saaho Is Driving Netizens Bonkers! When the announcement was made that Shraddha Kapoor is paired opposite Prabhas in Saaho, the movie lovers couldn’t contain their excitement. Each and everyone were just waiting to catch a glimpse of this refreshing pair. While many wanted the Baahubali star to share screen space once again with Anushka Shetty, there were many others who were also looking forward, Prabhas with a Bollywood actress. And Shraddha’s entry in the star cast turned out to be a huge surprise. Now a picture of Shraddha and Prabhas has surfaced online. This leaked picture from the sets of Saaho has driven netizens bonkers. Prabhas To Go The 'Terminator' Way for Saaho! Read Deets About His High-Octane Action Sequences. Shraddha Kapoor and Prabhas are seen filming for a romantic sequence. Fans just cannot stop praising seeing their chemistry. Some are saying it as a fantastic pair while others are expressing their views by sharing just the heart emojis. If this is the kind of response that Prabhas and Shraddha is receiving right now, we wonder what magic would happen when the film is released. Chiggy Wiggy Song Fame Kylie Minogue to Feature in Prabhas-Starrer Saaho? About Saaho Prabhas had told Mid-Day, “After Baahubali it's an action thriller. I feel people like to see me in action movies, so after Baahubali, they may like it.” Yes, Prabhas will be seen performing some crazy action stunts in the film. We just got to wait and watch what is in store for us in this Sujeeth directorial. What do you think of Shraddha Kapoor and Prabhas’ pairing? Let us know in the comments below.